This chapter characterizes need for new patient-specific approaches in medicine. 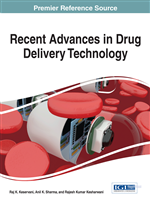 The authors here illustrate role of nanomedicine and particularly nanotheranostics, combining diagnostic and therapeutic functions, in the paradigm of personalized disease treatment. This chapter discusses current insights regarding the mechanisms of nano-bio interactions and the origin of adverse effects of nanoformulations. Furthermore, this chapter illustrates possible reasons behind an individual physiological response to a given nanomedicine, such as type and stage of disease, physiological conditions and lifestyle of a patient. Finally, a review of possible approaches for the initial choice of nanoformulation, suitable for a given patient is provided at the end of the chapter. Individual variability in disease course as well as in efficacy and safety of therapeutics is one of the main challenges in current clinical practice. Predisposition, progression, severity and recovery from diseases vary from patient to patient. Simultaneously, response of the patients to the same therapeutic agent can also vary significantly although diagnosed with the same disease. A balance between drug efficacy and adverse drug effects determines clinical outcome of a medication. This balance can be calculated based on the concept of “therapeutic window”. The therapeutic window is as a range of medication dosages that lie between a dosage with highest therapeutic effect and a dosage, which shows apparent adverse reactions (Figure 1 A). Smaller dosage gives sub-optimal therapeutic effect with almost no side effects while the higher doses enhance therapeutic effect, but at the same time evoke new or stronger side effects. In other words, within the therapeutic window, patients experience maximal therapeutic effect with minimum side effects. As a rule, therapeutic window is determined for a large patient population. In current clinical practice, this averaged therapeutic window is a base for the choice of therapy. However, for most of medications, there are groups of patients, who have atypical dose-response curves for either therapeutic or adverse effect of the drug, or both. Application of a drug within averaged therapeutic window in these subgroups may result either in non-efficient treatment or in unexpected, undesirable and possibly life-threatening outcomes in these patients (Figure 1B and 1C). It is noteworthy that the probability of successful clinical outcome in current medical approach dramatically decreases in case of application of several drugs simultaneously. The lower probability for a patient to be within average therapeutic window for each of applied drugs can explain this.